As the sun sets over Calvi in the island’s north-west, the granite mountains turn pink. With superyachts lined up in Port de Plaisance you might be on the French Riviera, and there’s some serious peoplewatching to be done from the chic alfresco bars and restaurants by the marina at Quai Landry. Not to mention a fabulous beach, with picnic areas dotted along the bay. To stretch the legs, take a walk up to the citadel and look out for the French Foreign Legionnaires who patrol the port (their training centre is just a couple of miles out of town). 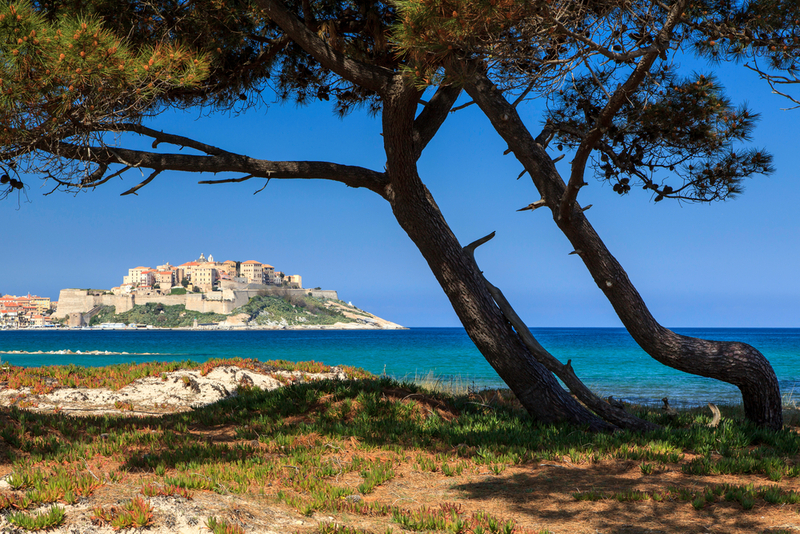 Take a hike: One of the great walks of Europe is the spectacular trek along the mountainous spine of Corsica. The GR20 track is tough but cruise tours do take guests into the mountains for early morning hikes, and birdwatchers can join excursions to look for the elusive Corsican nuthatch. There’s only one problem with Palma de Mallorca – one day is not enough to make the most of it. So if a cruise starts from the port, treat yourself to a pre or post extension holiday. If you’re just sailing in for the day, you can saunter along the palm-lined promenade or explore the fabulous marina. Then there’s Palma’s spectacular Gothic cathedral, La Seu, dominating the skyline over Parc de la Mer, where the locals stage concerts, fiestas and beer festivals. Adrenaline rush: Palma’s beach is just beyond the cathedral but if that’s too tame for you, head for the UNESCO-listed Serra de Tramuntana mountains to leap off cliffs and ledges into icy plunge pools. Viator (viator.com) offers this fun-filled excursion, and wetsuits are supplied for the cliff-jumping experience. Italy’s third largest city is the gateway to the Amalfi coast and a stone’s throw from the ruined cities of Pompeii and Herculaneum, buried under ash by the eruption of Mount Vesuvius in 79AD. Walk through the streets of Pompeii and wonder at how the city and its people lay undisturbed beneath the ashes for more than 1,500 years. On Swan Hellenic’s Minerva, British Museum archaeologist Dr Ann Birchall offers talks that give an unparalleled insight into Roman life in the city’s forum, temples and theatres. Don’t forget: Hiring a car to drive along the Amalfi coast and whizz around the 1,000 hairpin bends sounds brilliant but traffic is heavy in peak season so it could be faster to walk along some of the ancient coastal tracks known as the Path of the Gods, where Roman temples once stood. Rub shoulders with the A-listers on the dreamy Costa Smeralda, soak up the sun on gorgeous beaches or stroll through the yachting marina to the smart bars and exclusive boutiques – the choice is yours. Helicopters fly into this celebrity playground, but cruise passengers have no need to break the bank when their ship is within easy reach for lunch or dinner. 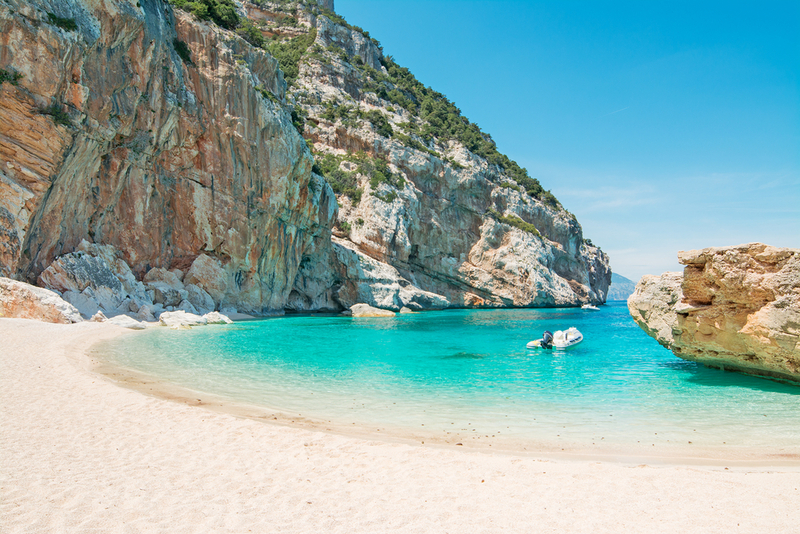 As well as its ultra-chic resorts, Sardinia still has plenty of untamed wilderness and there are rugged limestone and granite mountains to discover. A little over 100 miles from the Italian mainland and blessed with emerald bays, soft sand and excellent watersports opportunities, this is a true island gem. For horticulture vultures: Cagliari Botanical Gardens are home to a huge collection of Mediterranean plants and trees, and it’s an ancient Roman site so you can almost trip over the archaeology. Sailing into the wide circular bay of Santorini, you feast your eyes on one of the great sights of the Mediterranean. And there’s an added frisson because you’re entering the sunken crater of the ancient volcano that created this entire landscape with one colossal explosion. As the sun goes go down, the sea turns deep blue and the sky becomes streaked with gold and orange, there can be few more beautiful settings on Earth. 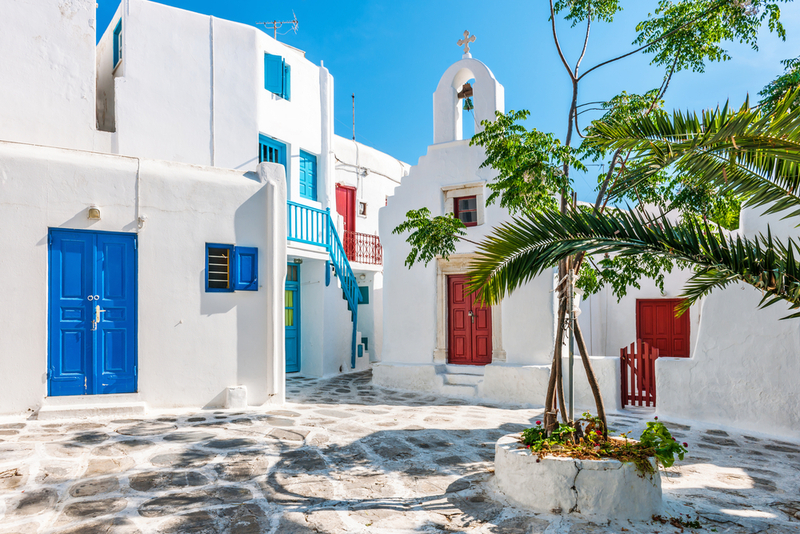 The village of Oia’s blue-domed churches, Agios Spyridonas and Anastaeos, are probably the most photographed in Greece, so visit early before the madding crowd and spend the rest of your day enjoying walks among the hillside vineyards. Raise a glass: Santorini is known for its excellent wines, with grapes benefiting from the fertile volcanic soil. Feel like splashing out? Take a helicopter flight to admire majestic Mount Etna, which at 11,000ft is the highest active volcano in Europe, most recently erupting in December last year. 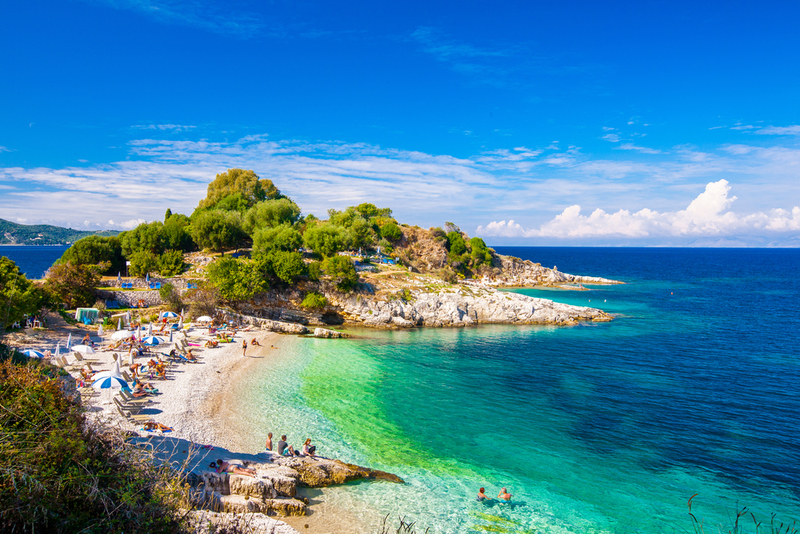 Just off the “toe” of Italy, the largest island in the Mediterranean is a sightseer’s dream. You’ll marvel at the ancient Greek theatre perched on a mountainside in Taormina. Built in the 3rd century BC, when 5,000 seats were cut into the stone for the Greeks to enjoy music and theatre, then modified by the Romans for gladiatorial battles and lion-fighting, it is still in use today for operatic and theatrical productions. Did you know? Taormina has attracted the world’s elite since the days of the European grand tour. In the 20th century, the likes of DH Lawrence, Truman Capote and Cary Grant were regular visitors to this glitzy enclave. Walking hand-in-hand along the legendary Promenade des Anglais, there’s no better way to revel in the romance of the Côte d’Azur. Fred. Olsen Cruises offers an adults-only sailing with an overnighter in Nice plus the thrilling distraction of the Monaco Grand Prix – the jewel in Formula 1’s crown. Guests can soak up the pre-race atmosphere before taking their seats to watch the 200mph cars roar through the principality’s famous streets. 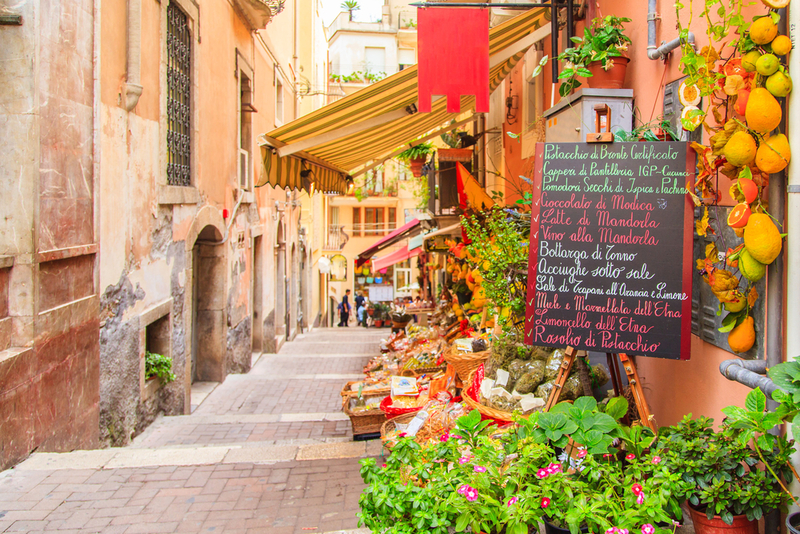 If you prefer your entertainment at a more sedate pace – or you’re travelling with a family – it’s probably more realistic to take an organised cycle ride through the city squares and grand boulevards of Nice. On the scent: Take a tour to Grasse, in the hills north of Cannes, to explore the town’s world-famous perfumeries. Summer is one long party in the Balearics but there’s much more to Ibiza than its famous clubbing scene. If your cruise ship offers an overnighter, explore the island’s countless bars and you’re sure to find one that’s music to your ears. By day, you’ll want to head for those sugar-white sands. Ibiza has 56 beaches and it’s easy for cruise passengers to get to Playa d’en Bossa, a wide crescent of sand with clear, shallow and deliciously warm waters. Families will love Aguamar Waterpark, just a 15 minute-walk from the port. For thrill-seekers there are no less than seven waterslides, from the worryingly named Kamikaze to the Black Hole (not one to try if you’re scared of the dark). If you need a gentle day, explore the Old Quarter of Ibiza Town, grab a beer or shop at one of the many designer boutiques. Whatever your pleasure, you’ll find it on Ibiza. This small, sparkling island in the middle of Med was a finalist in the Wave Awards’ Favourite Destination category, and more than 670,000 cruise passengers sailed in last year to enjoy its attractions. Adrenaline-junkies can fly like Buzz Lightyear on a water-propelled jetpack with shore excursion company Viator, zooming solo or in tandem over the sea and hovering with fingertip control. Meanwhile, divers can discover an underwater world of wrecks and caves, and Game of Thrones fans can take a tour with the series’ original location manager to see the real-life King’s Landing and Red Keep. 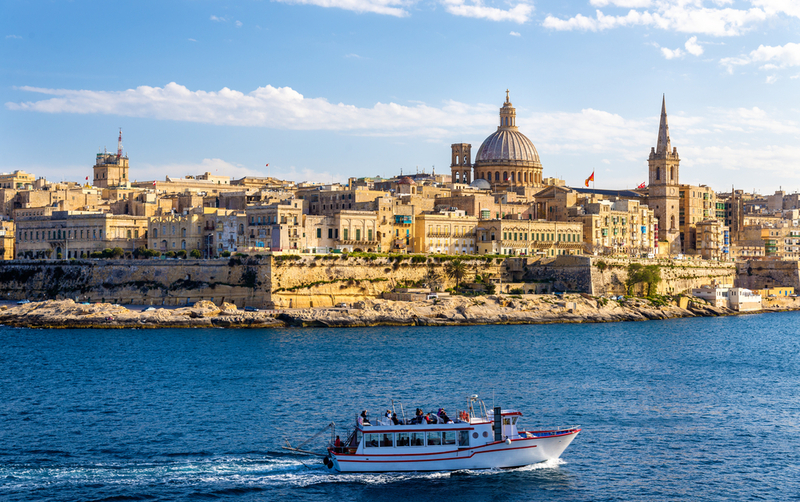 Best of British: Valletta is a treasure house of baroque architecture, with narrow streets and pretty courtyards, but it also offers a welcome taste of home – motorists drive on the left and beer is sold in pints. Thanks to the British habit of leaving their imperial legacy in the most surprising places, visitors to this much loved Greek island can enjoy a glass of home-made ginger beer overlooking the cricket pitch and bandstand near the Old Town. From here, foodies should consider a culinary ramble for tastings of local delicacies such as olive-wood smoked ham and spicy “bourdetto”, a casserole dish of fish and sweet paprika, served with freshly baked bread. Wash it down with a speciality citrus “koum quat” liqueur or more of that deliciously zingy ginger beer. A smashing time: for the full Zorba the Greek experience, join cruise tours to watch traditional folk dancing. And don’t by shy – the locals will invite you to join in, and then to show your appreciation with a little plate-smashing.